The Athens Gate Hotel is a 4 star hotel located in the centre of Athens opposite the ancient Gates of Athens and the Temple of Olympian Zeus. Ideally located in Athens' historic district, Athens Gate Hotel is only 500 meters (0.3 miles) from the Acropolis and 100 meters (328 feet) from the New Acropolis Museum and the National Museum of Contemporary Art. Constitution Square (Syntagma), and the commercial center of Athens are also only nearby. The rooftop restaurant, with spectacular views of the Acropolis, is the setting for a daily complimentary breakfast buffet, as well as à la carte lunch and dinner. WiFi is available throughout the hotel. 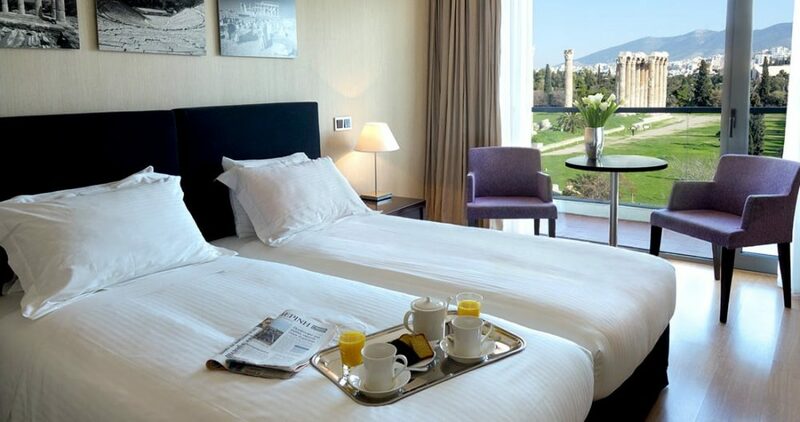 The hotel offers 99 modern guestrooms, many facing the Acropolis or Temple of Zeus. All offer LCD TVs, free WiFi, minibars, laptop-compatible safes, pillow menus, and private bathrooms.